You went out with friends, and consumed alcoholic beverages, and decided you were OK to drive home. You’re almost home, when you see flashing lights behind you. You don’t remember speeding or doing anything else wrong. What should you do now? Here are seven things you should do, if you’ve been pulled over after you’ve consumed any alcoholic beverages. 1) If advised that you were stopped for an apparent civil infraction (like speeding). Politely respond to the officer’s request for your license, registration and proof of insurance. Decline any further discussion. 2) If questioned, never use profane or inappropriate language. 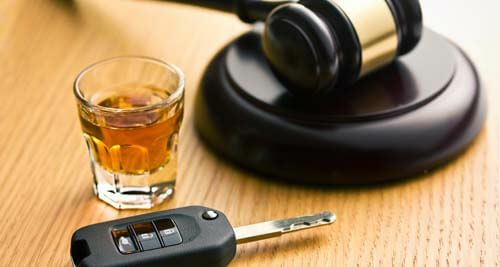 3) Refuse to take any roadside “field sobriety tests” (i.e. recite the alphabet, walk a straight line, etc.). These tests are subjective, and sober people often “fail them.” Politely decline to participate. Advise the officer you are concerned that your nervousness could cause you to do poorly on the tests. 4) If asked to take a preliminary breath test (PBT), consider refusing. If you refuse, you will likely be issued a civil infraction (with a fine that varies – approximately $225-$250), but it won’t result in any points on your license. Nor, is it admissible evidence against you in court. 5) If you are arrested for Operating While Intoxicated or a drug offense: remember to remain silent. Typically, I recommend you take the requested chemical test, whether it be at the jail or hospital. If you refuse to take the test after having been arrested, you could lose your license for a year. 6) Remember, if you take the requested chemical test, you have the right to have a second independent test done on your own. It is your responsibility to pay for the second test. 7) If you’ve been arrested, you have the right to contact your attorney. The police are required to allow you to make a phone call to your attorney. Ask to make the phone call from a landline phone. "He guided me through a very difficult time, and I could not have asked for anything more from him.” Michael K.